Dependable Demolition offers waste removal services for any demolition project. 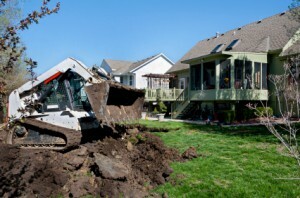 We have years of experience and will meet your needs for swimming pool demolition and driveway removal, to storm clean up and home demolition. Dependable Demolition ensures simple and quality junk removal service right where you are. You provide us with the project and we deliver pre-screened, licensed, insured, and reputable local demolition contractors. Dependable Demolition provides a broad range of junk removal and demolition services. From a garage demolition, a mobile home demolition, or a kitchen remodel to excavating services, environmental removal, or swimming pool removal, there is no job too large or small for us. We listen to your specific need and find the perfect local demolition contractor to answer your need.